David S. Kaylor was born and raised in Polk County and graduated from Winter Haven High School in 1986. David received his undergraduate degree from the University of Florida in 1989 and Law Degree from The University of Miami in 1993. After completing law school David worked for three years at the State Attorney's Office in Polk County for the Tenth Judicial Circuit. He has tried over 60 jury trials. 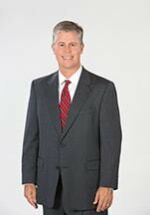 David has been a member of the Florida Bar since 1994 and is also a member of the Lakeland Bar Association, the Polk County Trial Lawyers Association and the Polk County Criminal Defense Lawyers Association. He is licensed to practice in the U.S. District Court for the Middle District of Florida and the U.S. Court of Appeals for the 11th District.